30 Crafty Creature Projects is packed with ideas to create lots of cute, cuddly and adorable creatures. 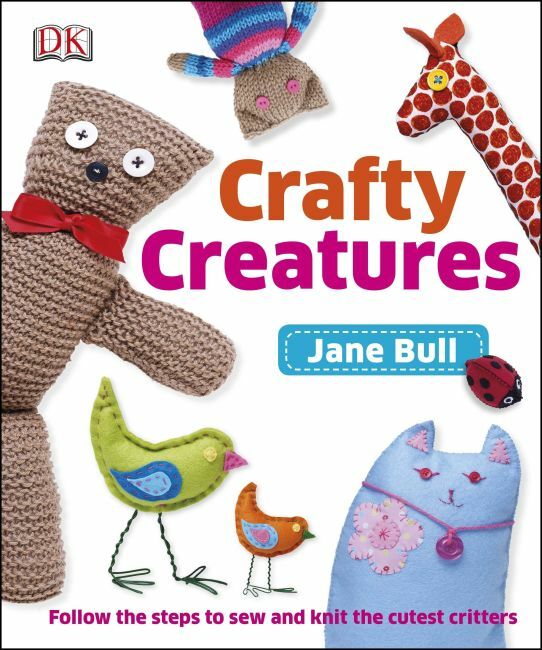 Award-winning author, Jane Bull, puts a modern spin on traditional handicrafts such as sewing, knitting, and model making in this exciting craft ebook. Inside you'll find over 30 inspiring projects ranging from delightful felt cats and teeny tiny animals, ideal for necklaces and key fobs, to cute phone pouches and coin purses. The step-by-step photo sequences of projects ensure you'll be able to pick any activity and sew, knit or assemble the adorable animals with ease. Each easy to make project tells you what materials you'll need and techniques for knitting or stitching the projects are embedded in the relevant section for immediate reference. 30 Crafty Creature Projects is perfect for budding crafters, providing creative projects that are great to keep or make as gifts for friends and family.